Viking Performance C209 Double Adjustable Coil Over Shock. 11.57" compressed height and 16.76 extended height. 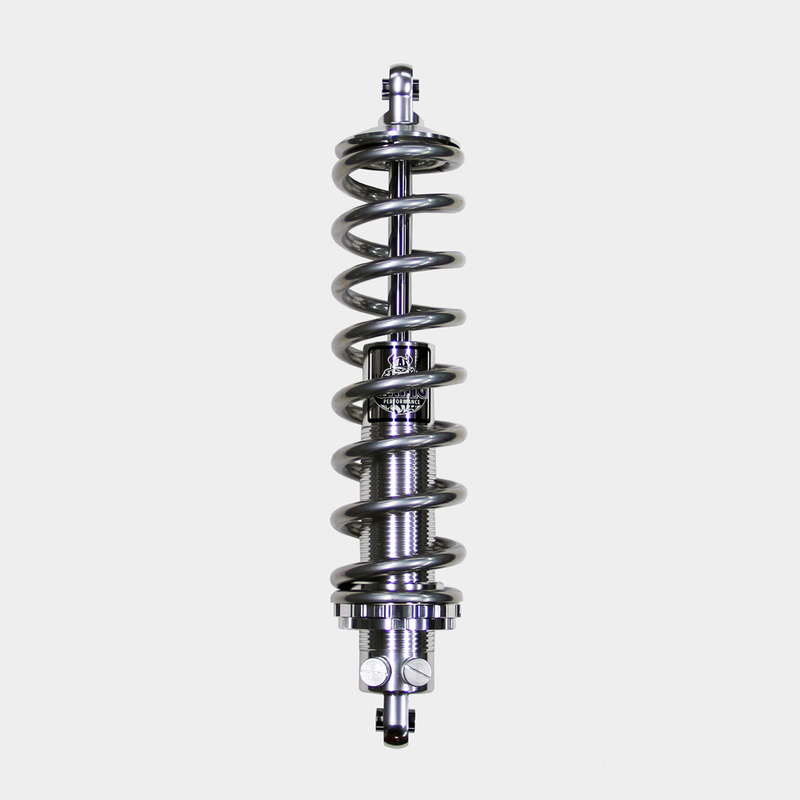 These shocks have 19 positions of compression and 19 positions of rebound adjustment for 361 different valving combinations. Lightweight aluminum twin tube design with sleek clear anodized finish. 1979 1980 1981 1982 1983 1984 1985 1986 1987 1988 1989 1990 1991 1992 1993 1994 1995 1996 1997 1998 1999 2000 2001 2002 2003 2004 LX GT GTS Bullitt Mach 1 Mustang Cobra Roush Saleen & Steeda Vehicles. *NOT a direct bolt to the stock mounts this is for cars with a rear coil over suspension. See part 2006-11 for stock location mount kit. No one else can stack up to the bold clean styling of our aftermarket Billet dress ups, Street Strip & Racing Suspension & Performance Parts for your late model American Muscle Car!